The lake is still open, so the -5 (F) temps created a lot of fog early this morning. 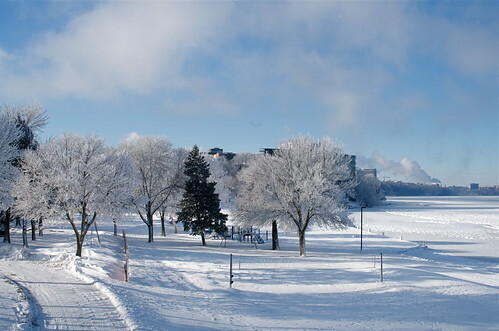 Most of the trees along the downtown stretch of Lake Mendota were coated with rime. The sun had not yet blasted it all off. Beautiful!